BigCommerce Enterprise is at its best when designed, developed, and marketed by Coalition. BigCommerce has made a name for itself in the midmarket and small enterprise ecommerce universe. Over the last several years, its been one of the fastest growing platforms for ecommerce businesses doing over $5M in revenue through their online store. Why? BigCommerce has shown a greater commitment to building ecommerce functionality into their platform than many other SaaS competitors, rather than pushing feature and functionality development to third party developers and paid apps that can dramatically increase the costs. But that doesn’t mean that BigCommerce Enterprise is the right shopping cart for everyone. Even when it’s a great fit for your business, it’s imperative that you work with a trusted partner who understands BigCommerce Enterprise like no one else. Coalition’s team of expert ecommerce strategists will help you scope your ecommerce project, identify a platform recommendation based on ease of use, viability of the platform, total cost of ownership, and marketability. From there, our team of designers and developers will bring your businesses’ vision for its next generation ecommerce site to life. Coalition Technologies is an Elite Certified BigCommerce Enterprise partner. That means we build more midmarket and enterprise ecommerce sites on the platform than any other business. It also means our developers and team members have passed a rigorous quality control and education process that demonstrates their expertise. More than that, Coalition is BigCommerce’s longest standing Enterprise partner. We started developing on the platform mere months after its launch. Other Elite Certified partners are rather new to BigCommerce, lacking experience and understanding of the deep nuances of how the platform can and cannot be used. After a poor experience on Magento, and a poor initial development by another BigCommerce Enterprise partner, we were referred to Coalition. Since then, we’ve seen our organic search rankings recover, our revenues increase, and our overall satisfaction with the ecommerce platform improve. BigCommerce Enterprise is a great platform that is at its best when supported by Coalition. Our BigCommerce Enterprise Portfolio. Click thumbnail to visit site. Find out more about BigCommerce Enterprise, how it stacks up in the ecommerce platform space, and have a team of BigCommerce Enterprise experts help with scoping and planning your project! There are so many reasons to choose Coalition for your BigCommerce Enterprise project. And so many reasons not to choose another agency.No other agency has the knowledge and experience of the BigCommerce platform, its API, its product roadmap, and its unique advantages in the ecommerce space. We’ve been working with BigCommerce and its leading rivals, as one of largest SaaS ecommerce agencies, for over 8 years. We know BigCommerce Enterprise and how it matches up against Shopify Plus, Magento Community or Enterprise, Woocommerce, and others. We know its strengths and its weaknesses. Coalition’s design and development have more hours building on BigCommerce and BigCommerce Enterprise than any other agency, including all other Elite Certified agencies for BigCommerce. 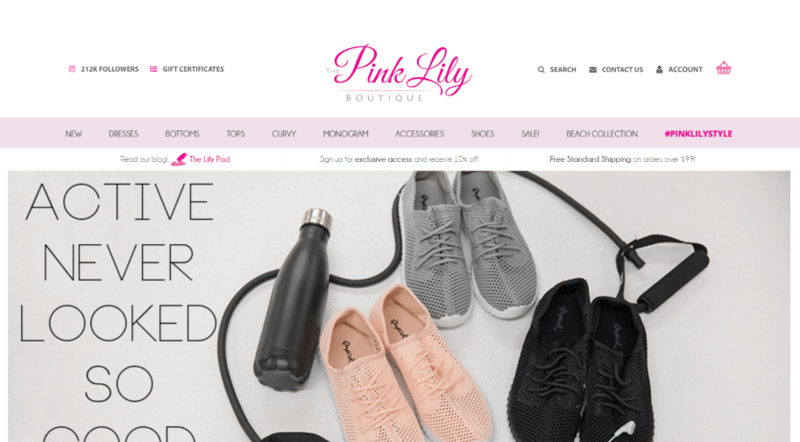 We are frequently called on by BigCommerce engineering to help implement custom solutions for leading BigCommerce merchants like Nine Line Apparel, Spinning, Natori, DiBruno, Sony and others, when other agencies fall short. Not only can our team help your company pick the right platform and build on it, our BigCommerce Enterprise experts have helped execute highly complex migrations to the BigCommerce platform. Because we have unmatched in house SEO capabilities (search for “SEO company” anywhere in the country, and chances are we’re top ranking), we’re able to safely move your site from one ecommerce platform to another, or update your site navigation so your rankings are maintained. If you think BigCommerce’s Enterprise plan is right for you, contact our strategy team today. Your company will be more informed, more confident, and better equipped for your project if you do.